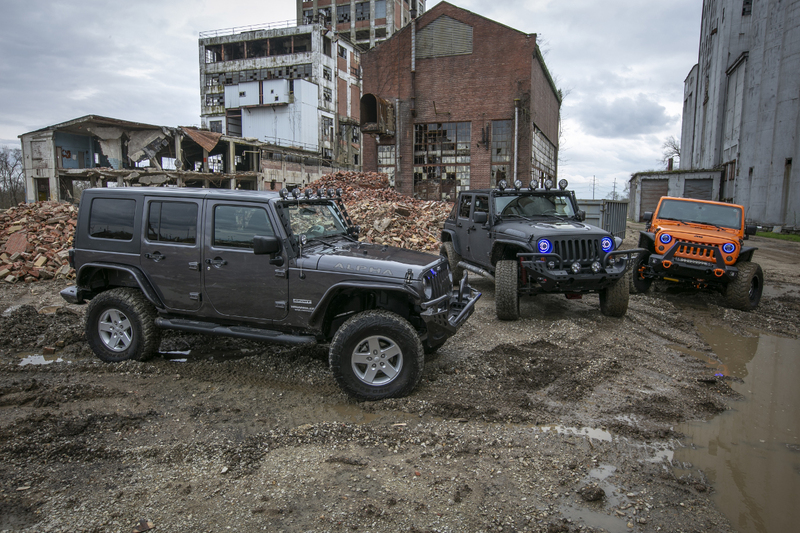 For some trucks and Jeeps, getting that oversized look is essential for good customization. The larger the vehicle and the higher off the ground it stands, the better. For such custom builds, ARIES Big Step™ 4" round side bars offer big, bold attitude, featuring an extra-large 4" diameter tube profile, raised step pads and vehicle-specific contours. 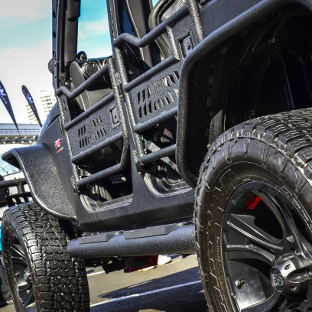 They also feature an offroad-ready, powder-coated aluminum construction. 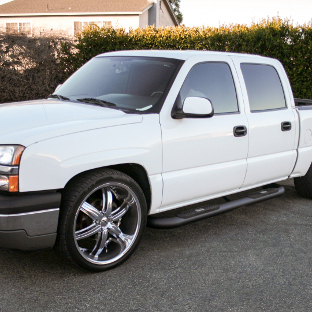 Like all ARIES nerf bars and running boards, Big Steps™ install with no drilling required. 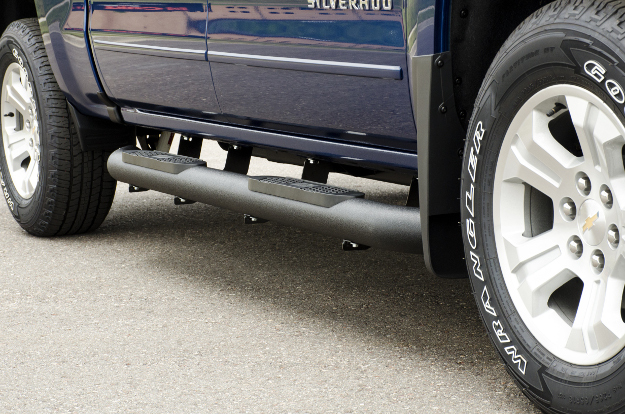 The 4" diameter profile of these nerf bars not only complements the look of larger vehicles, but it is also ideal for larger, offroad tires, giving your truck or Jeep a bold look that's ready for the trail. 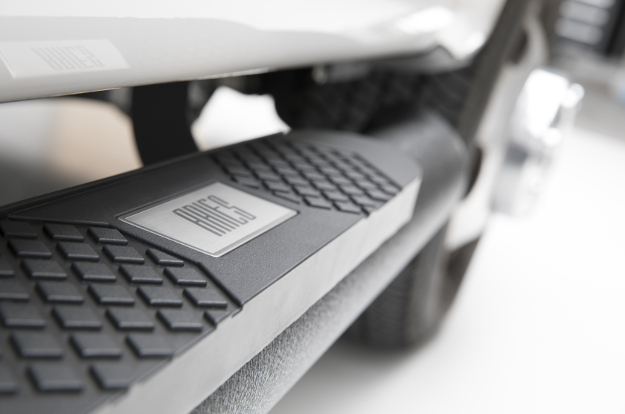 All Big Step™ side bars are made for vehicle-specific installation, meaning you get a custom fit for your ride without the hassle of custom modifications. There's no drilling needed and no fuss. 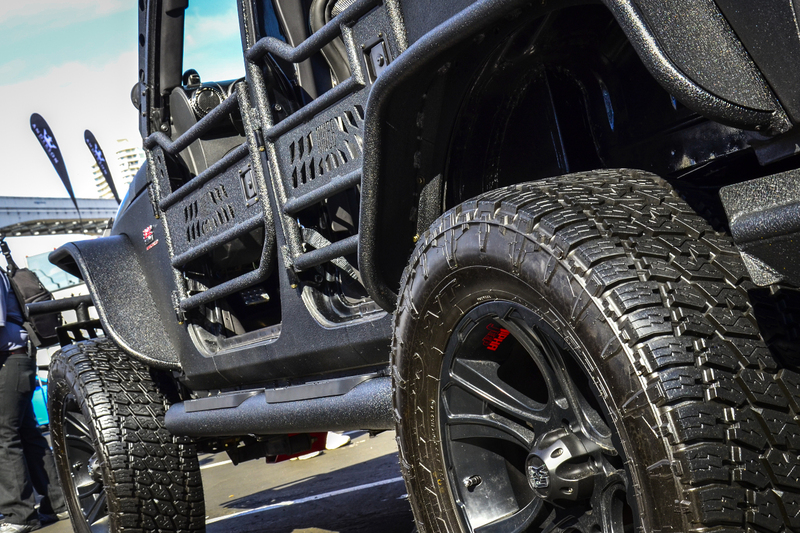 Big Step™ side bars are not only designed to accent offroad tires, but they also have the solid construction to back up the offroad ride. These black nerf bars are made from hardened T6 aluminum alloy. The extruded aluminum tubing is strong and rigid enough to provide a dependable step, but it also offers the unique advantages of aluminum. 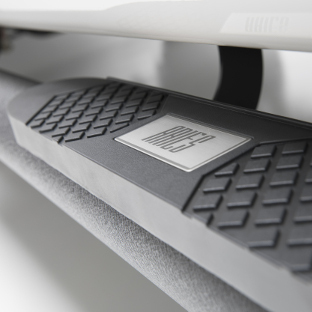 Big Steps™ are lightweight and highly corrosion-resistant. They provide style and convenient entry and exit without the cumbersome weight of steel. They also easily outlast rust in spite of mud, dirt, road salt and the elements. 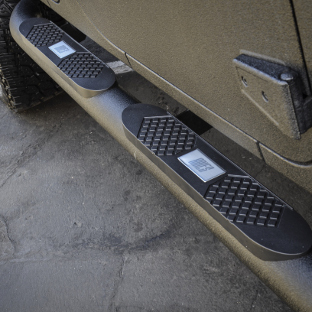 While an aluminum construction provides these nerf bars with a rust-resistant foundation, a unique finish optimizes them for any outdoor adventure. 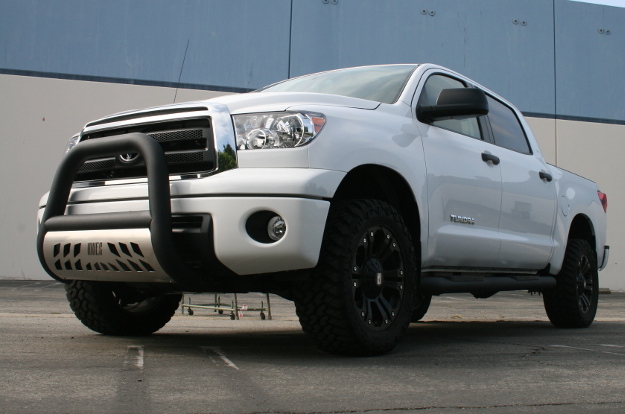 Big Step™ side bars are finished in a textured black powder coat. This shields the aluminum bars against the elements, maximizing durability and longevity. The unique textured finish also provides a level of hide on the side bars, blending out minor scuffs, scratches and grime accumulated on the trail. 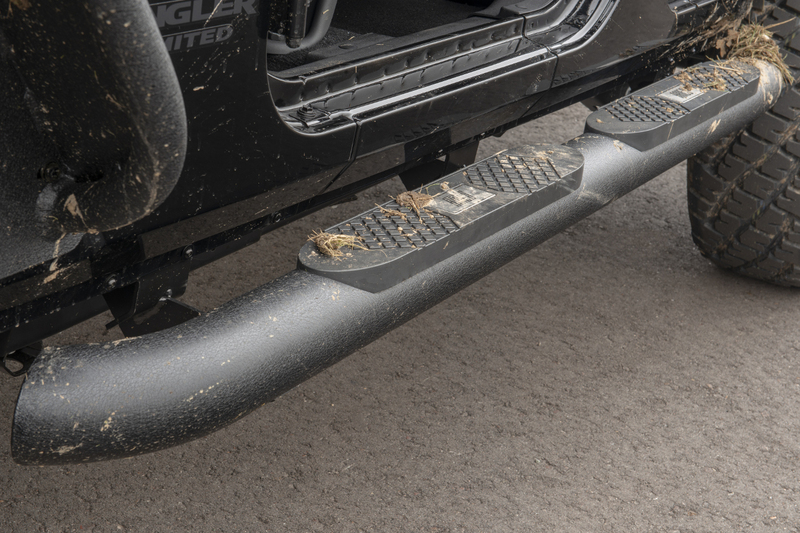 To complement their bold tube profile, Big Step™ side bars feature raised step pads. The pads provide a wide, flat, comfortable stepping surface into the vehicle, and the surface is textured for enhanced traction and safety. 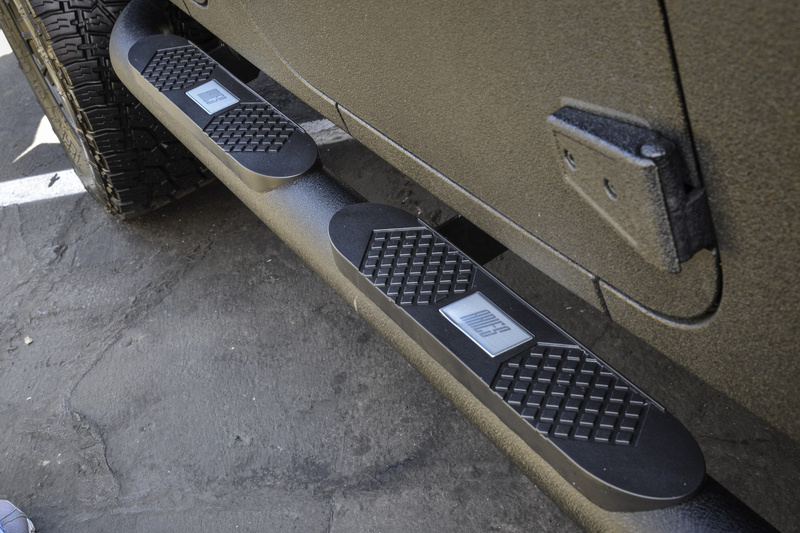 Big Step™ side bar step pads are constructed from tough polypropylene to endure wear from frequent foot traffic and UV damage from sun exposure. 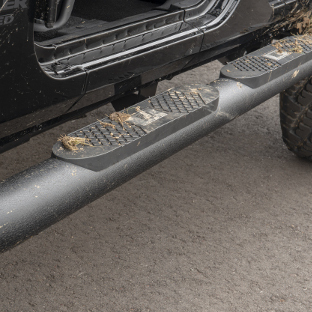 Each and every set of Big Step™ 4" side bars is made vehicle-specific to perfectly integrate with a unique truck or Jeep application. A vehicle-specific design means the tube lengths, bends, placement of the step pads and orientation of the mounting brackets are all customized for optimal fit. 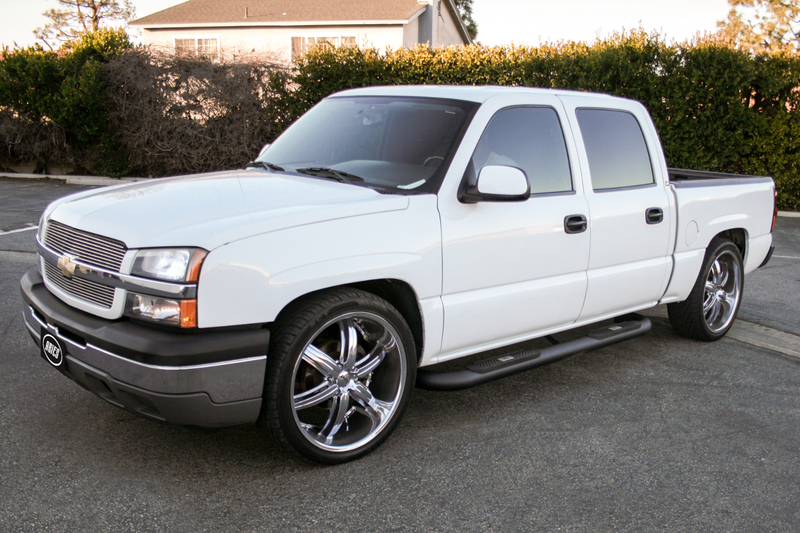 Big Step™ side bars are constructed with mandrel-bent aluminum tubing for a sleek contour to the body of the vehicle, giving you the functionality of original equipment with the bold look and style of aftermarket nerf bars. 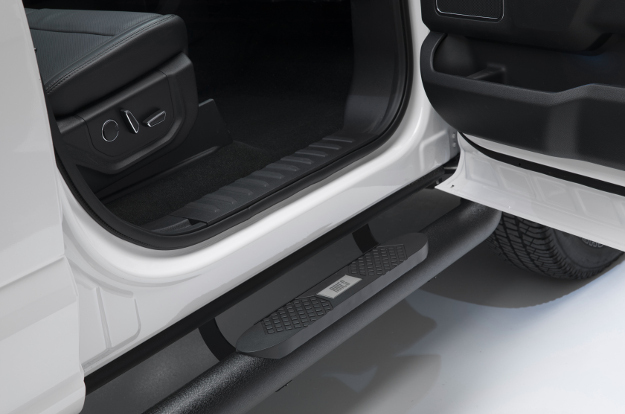 With their vehicle-specific design, Big Step™ side bars are also incredibly easy to install. Because each set has vehicle-specific bends and mounting points, the brackets are able to install quickly with no drilling or tedious vehicle modifications required. 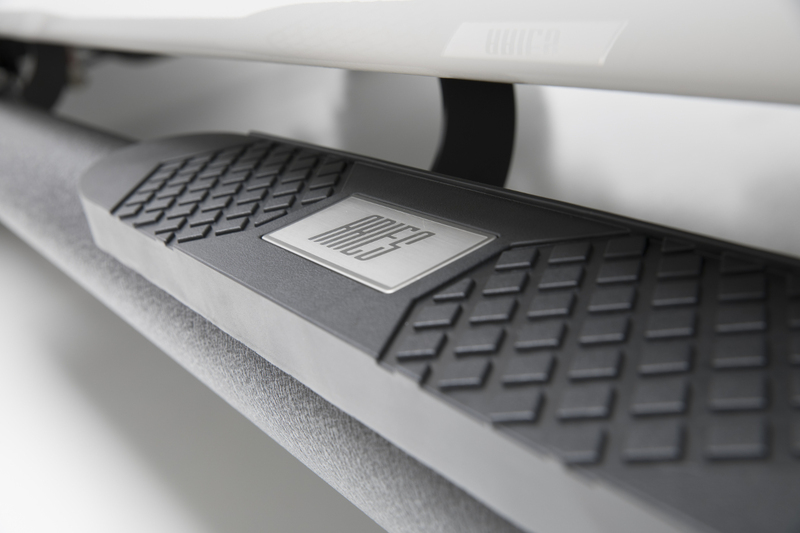 The brackets are constructed from heavy-duty, high-strength steel for a rigid step, and the nerf bars come with all necessary hardware for a complete install from start to finish. Our Big Step™ side bars are meant to go it alone. The ARIES Big Horn™ bull bar provides the perfect complement, featuring the same bold 4" diameter tubing, lightweight aluminum construction and durable, textured black powder coat finish as their nerf bar counterpart. 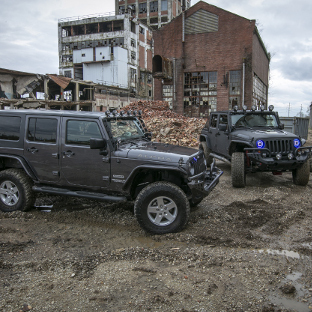 Together, these two truck accessories truly give your truck or Jeep a complete attitude check and that aggressive, aftermarket style you're after.